1Set the Mode dial to A (aperture-priority autoexposure) and select a low f-stop value. A low f-stop setting opens the aperture, which not only allows more light to enter the camera but also shortens depth of field, or the distance over which focus appears sharp. So dialing in a low f-stop value is the first step in softening a portrait background. However, for a group portrait, don’t go too low or else the depth of field may not be enough to keep everyone in the sharp-focus zone. Take test shots and inspect the results at different f-stops to find the right setting. 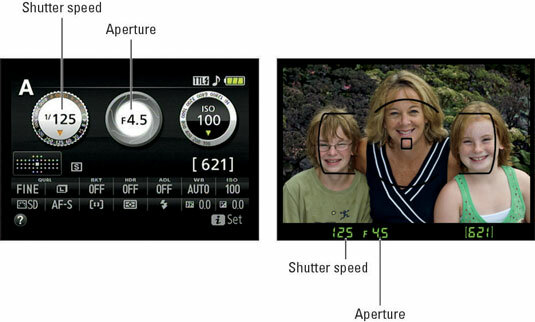 You can monitor the current f-stop and shutter speed in the Information display and viewfinder. 2To further soften the background, zoom in, get closer, and put more distance between the subject and background. Avoid using a lens with a short focal length (a wide-angle lens) for portraits. They can cause features to appear distorted—sort of like how people look when you view them through the security peephole in a door. A lens with a focal length of 85–120mm is ideal for a classic head-and-shoulders portrait. Consider the background. Scan the entire frame, looking for background objects that may distract the eye from the subject. If necessary, reposition the subject against a more flattering backdrop. Frame the subject loosely to allow for later cropping to a variety of frame sizes. Your camera produces images that have an aspect ratio of 3:2. That means your portrait perfectly fits a 4 x 6 print size but will require cropping to print at any other proportion, such as 5 x 7 or 8 x 10. 4For indoor portraits, shoot flash-free, if possible. Shooting by available light rather than by flash produces softer illumination and avoids the problem of red-eye. 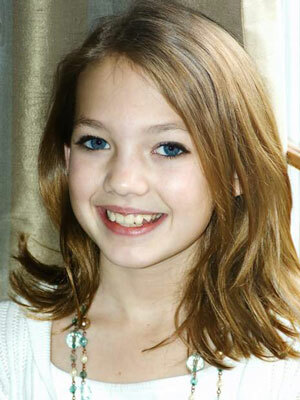 To get enough light to go flash-free, turn on room lights or, during daylight, pose your subject next to a sunny window. In the A exposure mode, simply keeping the built-in flash unit closed disables the flash. 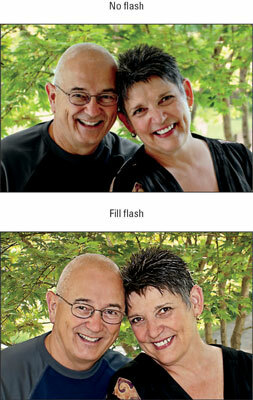 5For outdoor portraits, use a flash if possible. Even in daylight, a flash adds a beneficial pop of light to subjects’ faces. A flash is especially important when the background is brighter than the subjects, as in this example. In the A exposure mode, press the Flash button on the side of the camera to raise the built-in flash. For daytime portraits, set the Flash mode to Fill Flash. (That’s the regular, basic Flash mode.) For nighttime images, try red-eye reduction or slow-sync flash; again, see the flash tips at the end of these steps to use either mode most effectively. By default, the top shutter speed for flash photography is 1/200 second, so in bright light, you may need to stop down the aperture to avoid overexposing the photo. Doing so, of course, brings the background into sharper focus, so if that creates an issue, move the subject into a shaded area instead. 6Press and hold the shutter button halfway to initiate exposure metering and autofocusing. If the camera has trouble finding the correct focusing distance, set your lens to manual focus mode and then twist the focusing ring to set focus. 7Press the shutter button the rest of the way to capture the image. Congratulations! You’ve taken a still portrait.